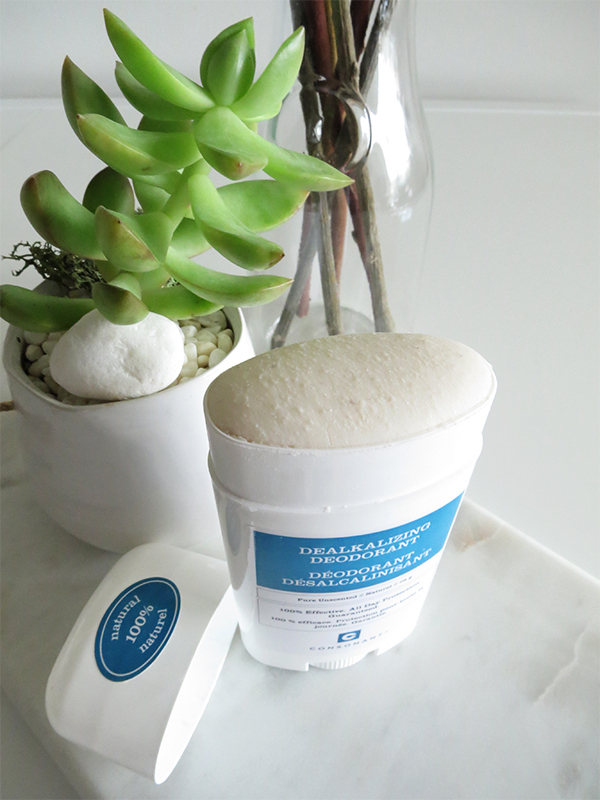 Thanks to everyone who read last week's green beauty post and took the time to comment! It seems like my research into the world of natural beauty struck a chord with those of you who are interested in greening up your beauty routines, but looking for a balanced, scientific-minded approach at the same time. 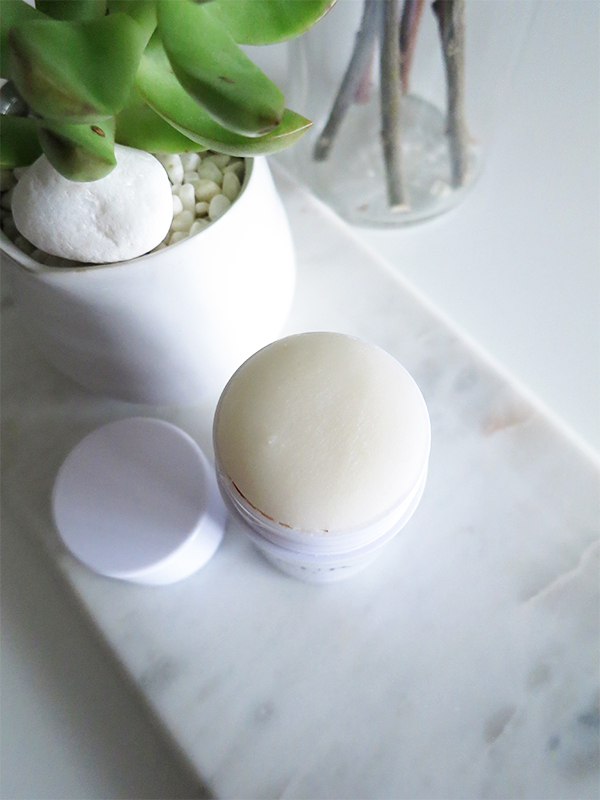 Today I'm talking about a green beauty subject that's become a minor obsession the past couple of months: natural deodorants. Why should you use one? What are the best ones to try? (Spoiler: I'm reviewing three by Consonant, Leaves of Trees, and Agent Nateur.) All of the details after the jump! In a nutshell, this is one of those "better safe than sorry" green beauty swaps. The underarms are a remarkably sensitive area filled with sweat glands and lymph nodes. What's more, underarm skin is prone to being abraded, nicked, or scraped if you shave your armpits, which means skin is less intact and more likely to absorb what you apply on it. Now imagine that on top of broken skin you're slathering on ingredients like parabens, which are known endocrine disruptors; fragrance, which is considered a trade secret and therefore could be made up of any number of undisclosed chemicals; and perhaps most controversially, aluminum. Aluminum compounds in antiperspirants work by being small enough to physically block your pores from sweating, and they've been blamed for everything from breast cancer to Alzheimer's disease and endocrine disruption. Although there is no conclusive evidence that aluminum-based compounds cause breast cancer, there have been studies that have identified a correlation between the two. Health and ingredient concerns aside, there's the question of "Do you even need the chemicals and the aluminum in the first place?" I've been using drugstore antiperspirant since I was a teenager and never once questioned it. But once I started thinking about it, I realized I don't sweat heavily unless I'm exercising and I'm not that smelly when I do sweat—I just smell less than fresh. There was no reason for me to use a more toxic product than I had to or rely on something to block my pores from sweating. Once I realized that, switching to a natural deodorant seemed like a logical decision and I didn't even miss the aluminum. 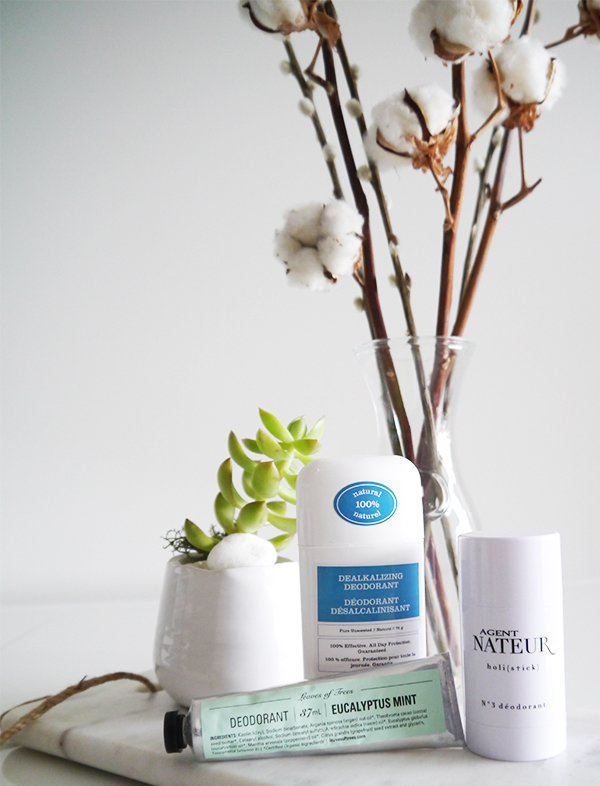 Consonant Dealkalizing Deodorant in unscented ($14 at BeautyMark) was the first natural deodorant I ever tried, and I liked it so much that when I decided to switch over to natural deodorants for good I purchased the full-size version when my review sample ran out. I still stand by everything I said in my review: It really works in providing odor protection up to 24 hours; it de-alkalizes skin's surface to inhibit bacterial growth; it's like a conventional twist-up deodorant stick you'd buy at the drugstore so it makes the switch super easy; it's awesome if you want something unscented. This time around though, I found Consonant Dealkalizing Deodorant to be crumbly and dry to the point where it feels abrasive and sandpaper-y when applied. You can see the rough texture in the photo below. I wonder if the ratios of moisturizing ingredients to clay and baking soda have changed. It works as expected if I scrape the top layer off with a butter knife, yet dries up again to the same dry, crumbly state the next day. Still effective, but not the greatest user experience. EDITED TO ADD 07/04/2017: Shortly after this review was posted, someone from the Consonant team reached out and informed me the deodorant stick I had was part of a bad batch that turned out scratchier than usual, and generously offered to send me a replacement free of charge. The replacement stick's texture has the smoothness I remember from my first one. Well done on customer satisfaction, Consonant! 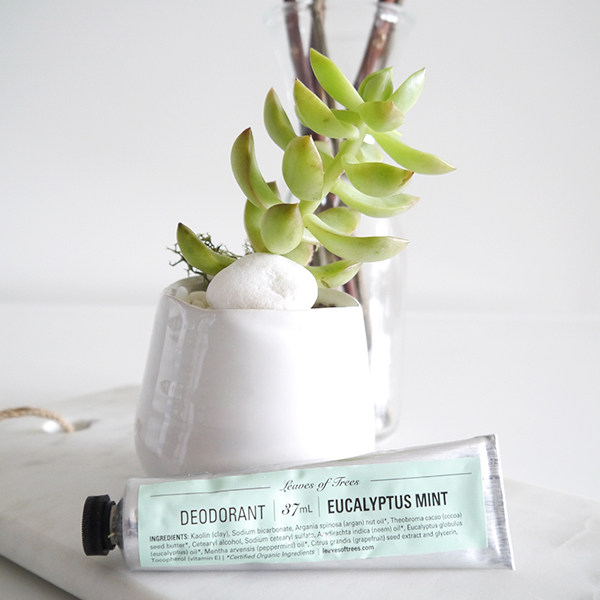 If you're willing to stray from the twist-up stick format, there's Leaves of Trees Deodorant in Eucalyptus Mint ($15 at BeautyMark) which comes in a silver tube with a pastel-coloured label that uses fonts worthy of a Wes Anderson movie—very hipster chic. The creamy formula relies on a mixture of kaolin clay, baking soda, moisturizing ingredients, and essential oils to fight odor and absorb dampness. At first I thought the cream-in-a-tube format would be messy and inconvenient, but I was pleasantly surprised by how quickly I adapted to it. The deodorant is easy to apply and dries very quickly to a powdery finish that feels barely there, and it provides effective all-day odor protection. Of the three deodorants in this post, it's also the best at wetness protection—although that may be because I squeeze out too much. (I use about a pea-sized amount under each arm.) 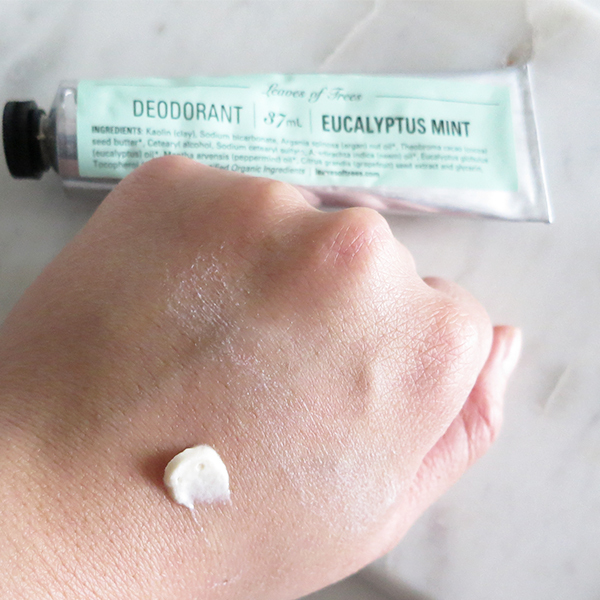 The eucalyptus and mint essential oils smell clean and refreshing and give the deodorant a nice tingly feeling when it's first applied; both the scent and tingling fade within a half hour. If you're wary of applying tingly deodorant to freshly shaved underarms, I recommend trying the lavender tangerine variety instead. 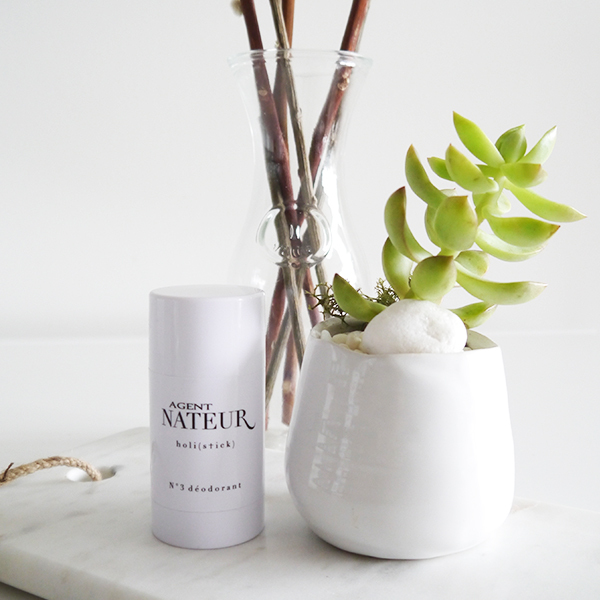 Of the three natural deodorants featured in this post, Agent Nateur (holi)stick No. 3 Deodorant($27 at LYNNsteven) might very well be my favourite because it has the ease of a twist-up stick's application like the Consonant deodorant, but the product is emollient and smooth and glides on effortlessly, just like a conventional deodorant or antiperspirant. Its scent (a unisex blend of essential oils that smells lovely and spa-like) fades with time, while the product provides effective odor protection for almost the entirety of a day. Depending on how much or how little you apply, it also offers protection against superficial underarm dampness. Finally, there's the gorgeous black-and-white packaging that seems tailor-made for Instagram flatlays with marble surfaces, peonies, and a fancy candle in the background. It's definitely a luxe step up from the hippie deodorants at the health food store! Love the suggestions! I'm allergic to aluminum-I actually ended up with a swollen lymph node in my armpit from the reaction :( What has worked best for me is the Lavalin 72hr deodorant-it has been the best at keeping odor away-but I find the best way to apply it is actually right AFTER I shower (which is in the evening) as it works much better on clean skin than morning-after skin which already has a bit of sweat on it. Only gripe is that it's a liquid and huge so it's challenging to travel with when you're doing carry on only-I might consider one of the solid options you mentioned for when I'm flying! Oh yikes! I've never heard of an aluminum allergy but yeah, switching to a natural deodorant makes total sense in this case. I wonder what it is about Lavalin that can make it promise 72 hr protection—that's an impressive claim!